Boston Mayor Marty Walsh urged fans not to #DoDamage to Boston during the World Series, invoking the team’s catchphrase for the season during a pre-game safety meeting. Walsh was joined by city officials Tuesday night as the city prepares to host the Dodgers at Fenway Park for Game 1, the first World Series here since 2013. The first two games of the series will be played in Boston. If the series goes to six or seven games, the last two will be played here as well. Road closures will begin at 6 p.m. around Fenway, when large trucks will be prohibited from area streets. Roads will be shut down altogether at 7 p.m. 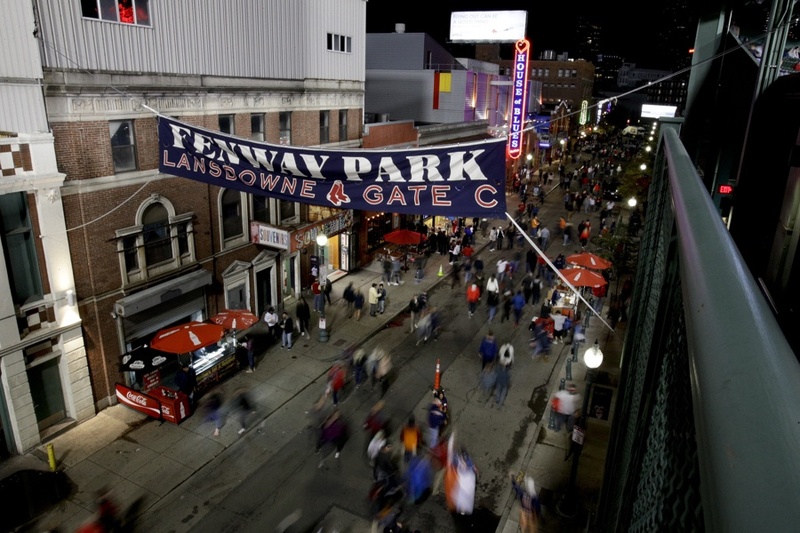 Bars will not be forced to close early, although Walsh said that’s a safety measure that may be adopted if the Sox host a clinching game later on. In a collaboration between city, state, and transit police, uniformed and plainclothes officers will be patrolling the area around the stadium, as well as in other neighborhoods, officials say. Recent incidents at large public events, like the massacre in Las Vegas, have authorities on high alert but there are no credible threats to the series, officials say. “Our police stations and our great neighborhoods will be fully staffed,” says Police Commissioner William Gross. BPD is also warning about counterfeiters eager to sell junk World Series tickets for top-dollar, and urge fans to get tickets at reputable websites instead of on the street. The following streets will close to truck traffic at 6:00 PM. Van Ness Street, from Ipswich Street to Kilmarnock Street. The following streets will close to all motor vehicles at 7:00 PM. The following temporary parking restrictions will be in effect. It is important for drivers to note that the fine for parking in a Fenway/Kenmore Resident Parking space on event days at Fenway Park is $100.